« Who is most important in making a film? by Gerry O. Spring! Birds chirping, flowers blooming, people carting their Kleenex around because of all the pollen in the air (an unenthused yay). With the new season upon us and new movies opening in theaters, you can’t help but notice the plethora of comic book based films. In March, an epic battle between two of the most iconic heroes of their universe hits the screen. May brings an epic battle between two of the most iconic heroes of their universe. Wow! Where does Hollywood get its ideas from? In all seriousness, I’m not the only one to point out that two superhero vs. superhero movies steal the spotlight a month apart. Speaking of which, X-Men Apocalypse comes out in May as well. That means three comic book films open in the next few months. That doesn’t include Deadpool which opened last month, Suicide Squad which comes out in August or Doctor Strange which opens in November. Six comic book films take the spotlight this year. You might think that I would be jumping up and down from excitement. While my inner geek feels ecstatic, I can’t help but also feel overwhelmed. Look at it this way. Consider my favorite dessert – chocolate. I love eating it at the occasional birthday party or maybe a wedding. When I eat cake once in a while, I enjoy every bite. When I finish it, I feel fulfilled because it’s a rare gift. However, imagine that I wake up one morning and my dessert choice is chocolate cake and I can eat it every day. It sounds like a dream come true, but as the weeks pass by I start to feel sick. I want to have something different for dessert. That anticipation for creamy chocolate goodness is gone because I have made myself fat and grown weary of it. Now I’m not saying my love for comic book films has disappeared. I still plan to see Captain America: Civil War and, get that adrenaline rush every time Tony Stark suits up. However, the hype of anticipating a new comic book movie has diminished. As much as I hate when a trailer comes out and I have to wait for a film to be released, it creates an excitement that makes me want to see the film. When Star Wars: Empire Strikes Back came out in 1980, the film ended with Han Solo being frozen in suspended animation. The next film, Return of the Jedi, didn’t come out until 1983. The three-year wait allowed audiences to get excited. Same thing happened with Avengers. 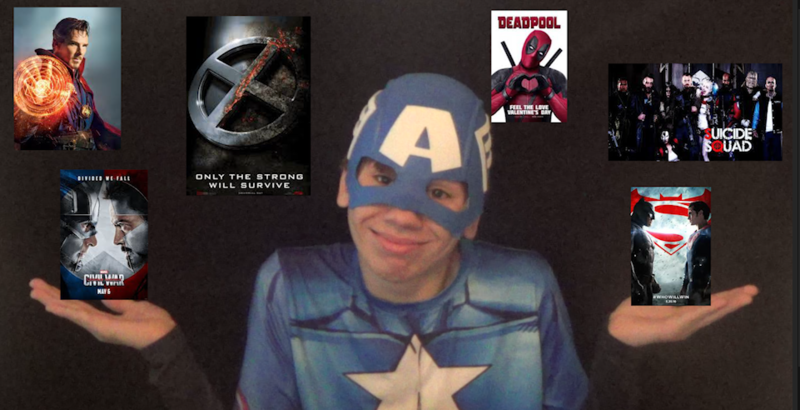 We had multiple films leading up to the grand assembling of our favorite Marvel heroes. The power of making your audience wait is strong. When Hollywood knows that they have a hit, they try to do everything in their power to exploit every ounce of it. Hollywood knows that audiences love comic book based films. The films they push out please audiences, but the mass production of comic book films, I believe, will spiral out of control. The more audiences want comic book films, the faster Hollywood makes the movies. The faster they make the films, the sloppier the films become. Then, it doesn’t matter how many people in capes appear on screen because the story behind that masked character will be forced and rushed. The reason I feel frustrated with this is because I know that super hero films can be great! I understa nd some people disagree with me (Willlie! I still respect you, sir), but comic book based films contribute a lot to the movie industry, not just financially but artistically. I’ve said this before, movies are supposed to bring you into new worlds and create interesting characters. 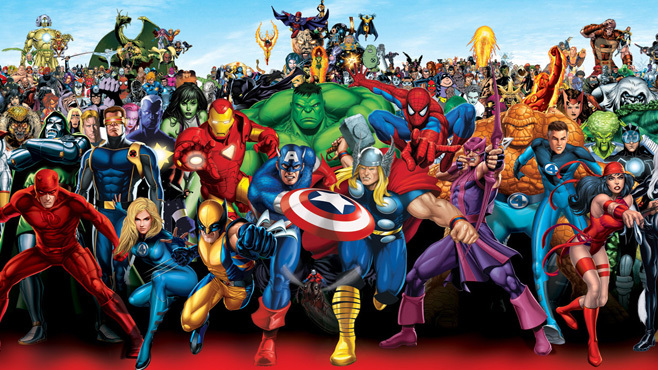 Comic book films create a connected universe where you can place these super powered characters in a room and the script creates itself. They have built a following that attracts both moviegoers and comic book enthusiasts from around the world. These films serve as examples of the power of filmmaking. I just hope Hollywood realizes, soon, the concept of quality over quantity. This entry was posted on Tuesday, March 22nd, 2016 at 8:52 am and is filed under Film Critics Blog. You can follow any responses to this entry through the RSS 2.0 feed. Both comments and pings are currently closed.